That is one creepy photo—and police say it shows a very creepy man. 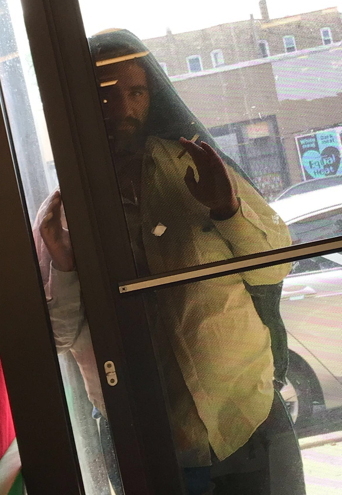 In a brand new community alert for the Humboldt Park area, police say the man shown here repeatedly exposed himself to people near a daycare center near North and California during May and June. After disappearing for a while, the man is back in the same area, and police want to find him. He’s described as a Hispanic man 30-35 years old, 5'08" tall and 180 pounds. He has dark hair and a full mustache and beard. Detectives are encouraging people to not let children walk alone in the alert area. Anyone with information about the suspect is asked to call Area North investigators at (312) 744-8261.